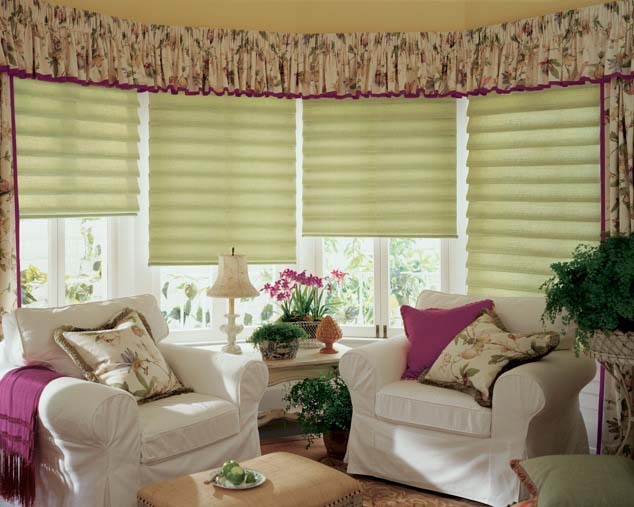 Flat Roman Shades…are recognized by their precise gathered folds when raised and their smooth defined horizontal lines when lowered. 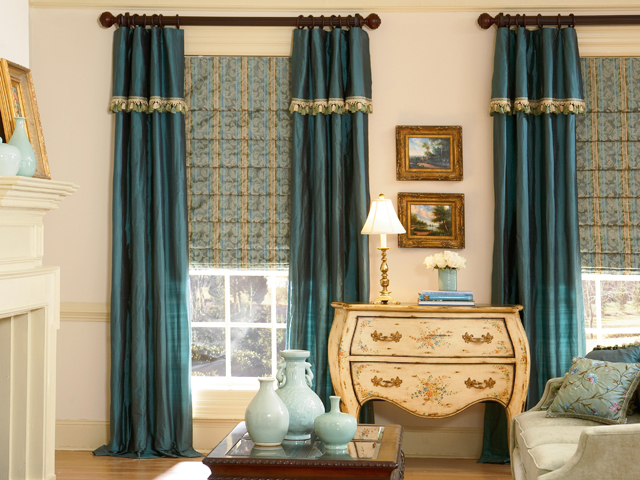 For added style, two extra permanent folds may be sewn in just above the bottom hem. 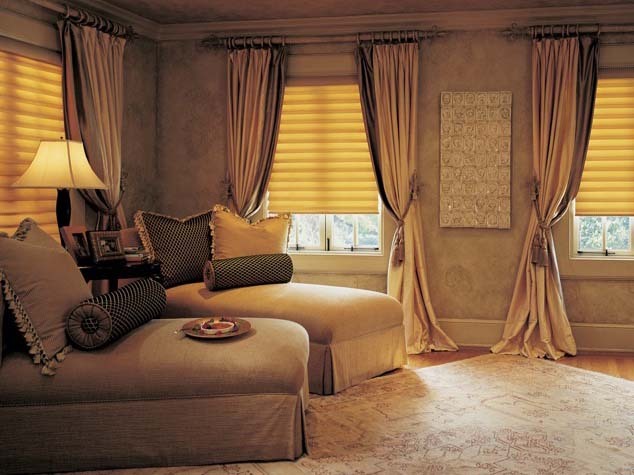 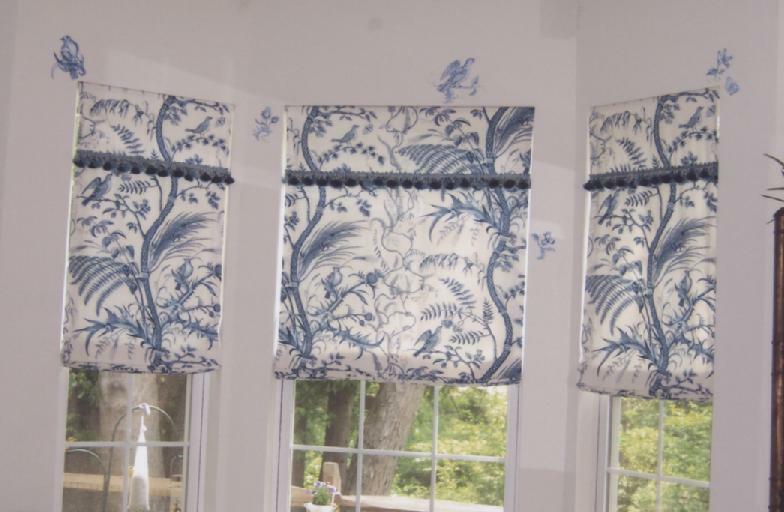 Carmel Blinds & Shutters Window Pros has been creating fabulous Custom Window Treatments and Custom Roman Shades for discerning Clients in Carmel Indiana for over 10 years.